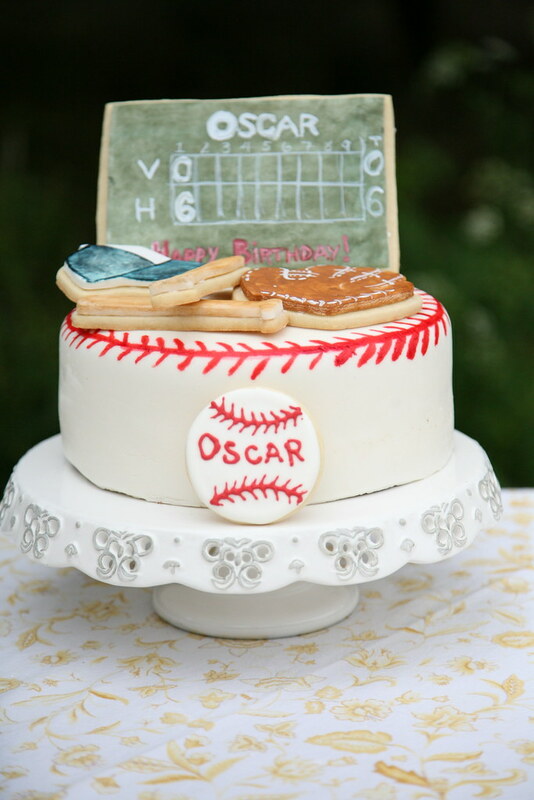 I'm pretty sure Oscar looks forward to his birthday all year. He also loves to help me brainstorm cake ideas. I asked him to help me brainstorm some ideas for his birthday cake and cookies. 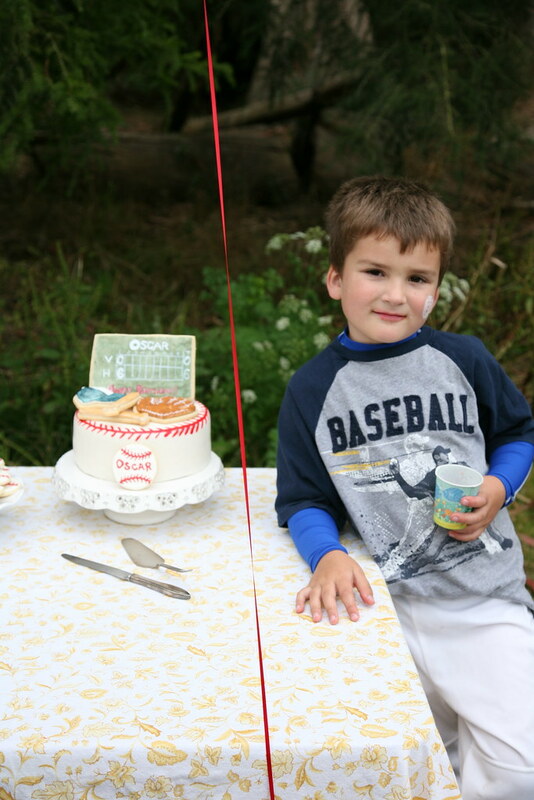 He was having a baseball themed birthday party -- no team affiliation. Just red and white. 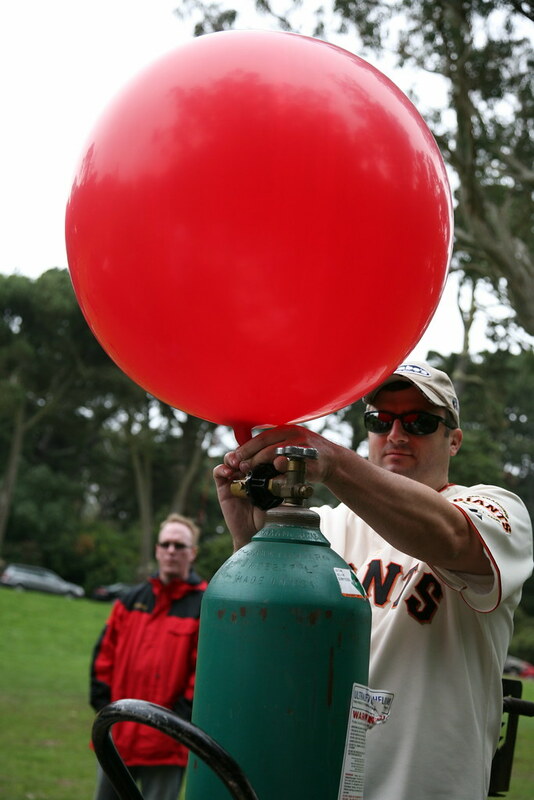 The main party decoration was some big ol' red balloons. 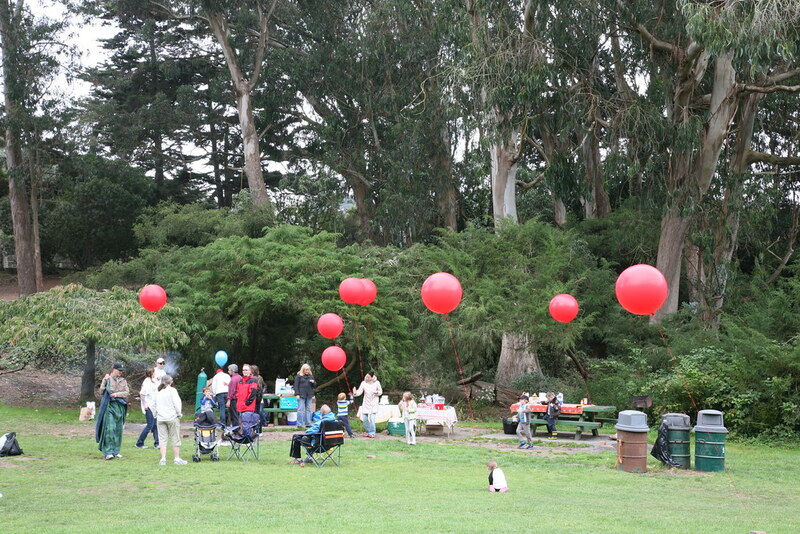 The rest was taken care of by the scenery of Golden Gate Park. 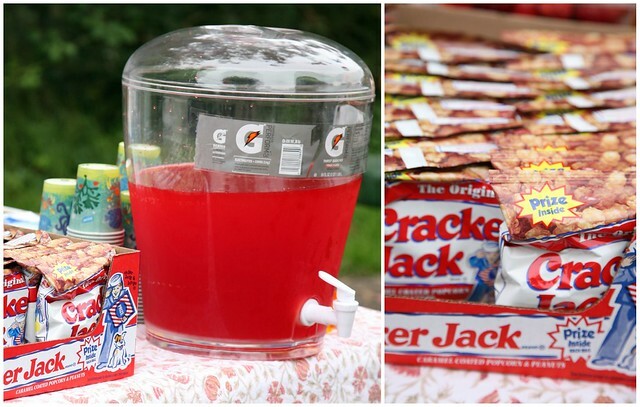 Gatorade and Cracker Jacks. Obvi. 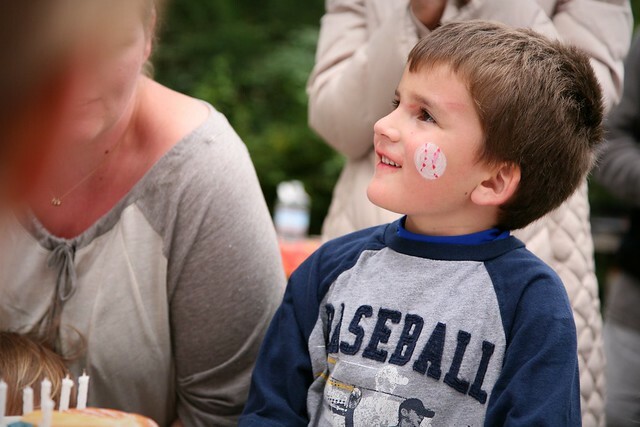 Cole was a highly involved cool uncle that day and played musical bases with the kids in his baseball jersey. 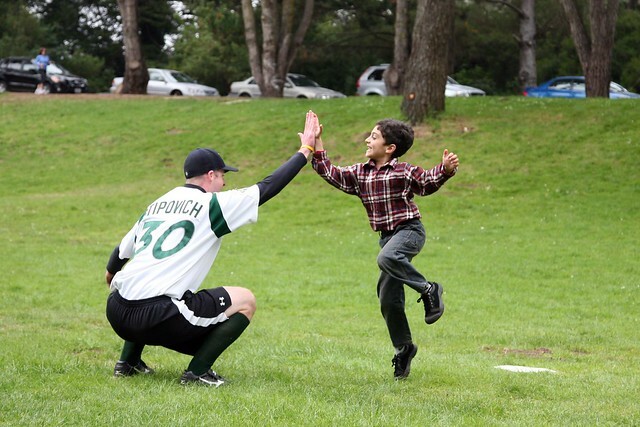 Favorite moment: when Oscar yelled across the field in his deepest, loudest voice "Hey Stipovich!" to Cole's back. 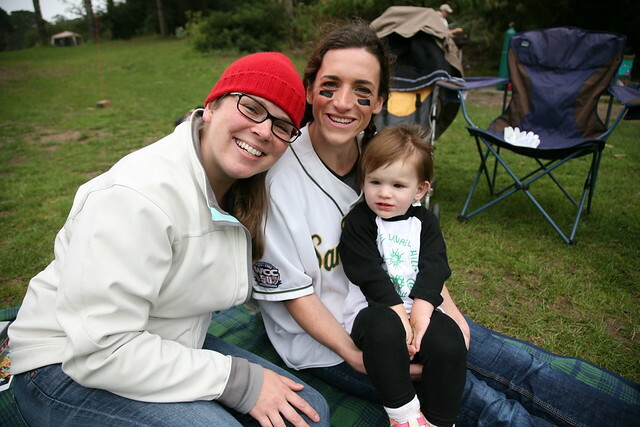 I was more low key (tre tired), taking pictures mostly, and also hanging out on the cozy picnic blanket that Alex and Madie brought. 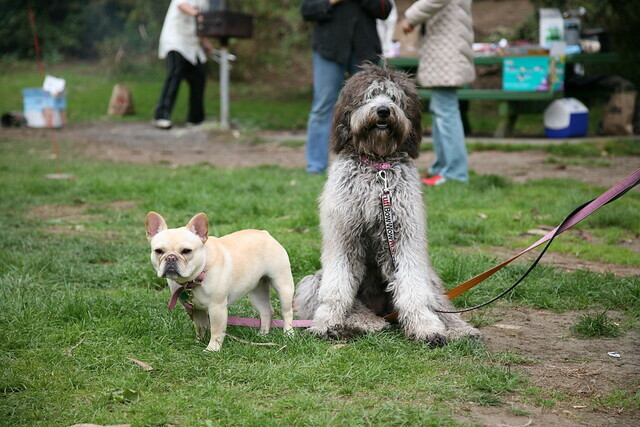 We were dog sitting Tillie. Georgia was being naughty and eating people's pasta salad so she had to get hog tied for most of the party. Tillie was just guilty by association. 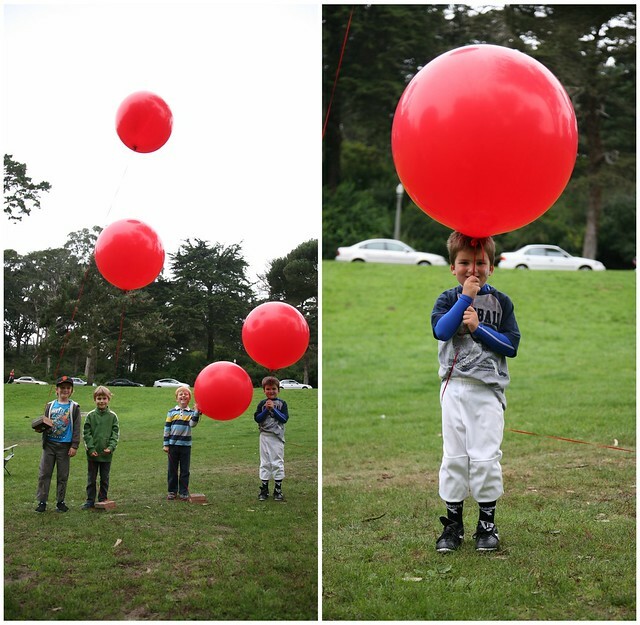 Don't worry, they had their fun and got to run around plenty the rest of the time. 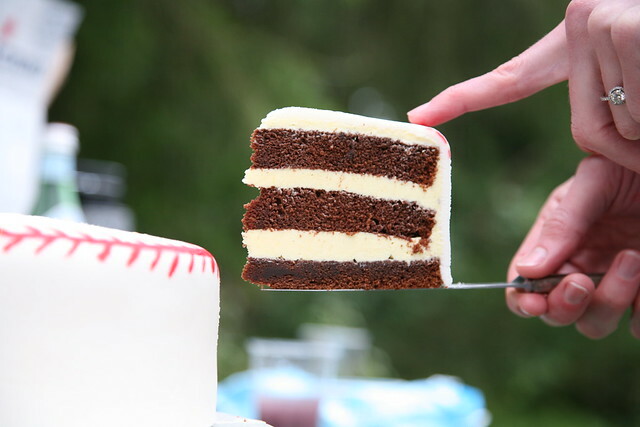 Let's cut to the cake. 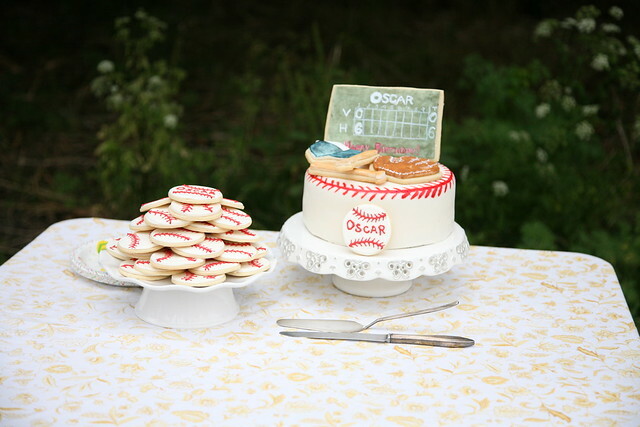 I made a big rectangle sugar cookie look like a vintage scoreboard (inspired by one of Oscar's ideas). 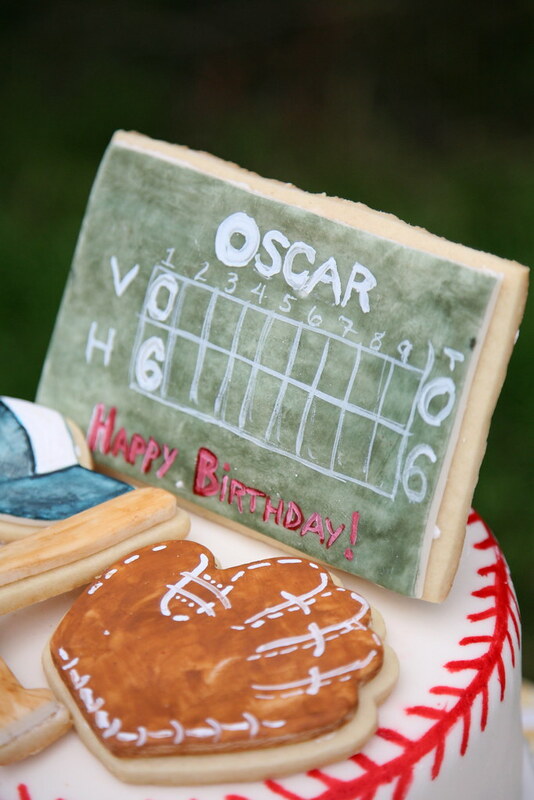 I used the scoreboard as the place to write Happy Birthday Oscar. 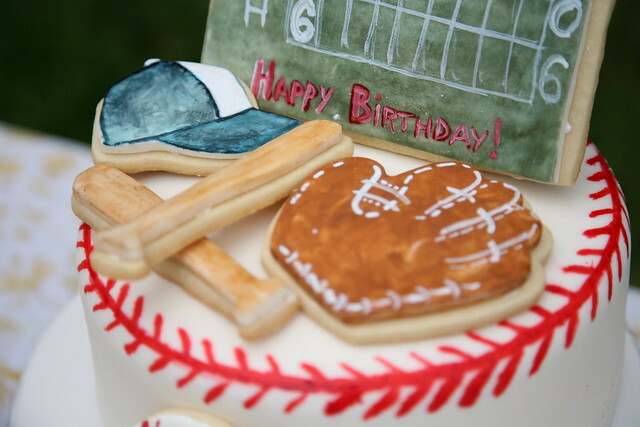 I topped the cake with some detailed sugar cookies (baseball mits, generic baseball hat, and baseball bat) that I actually covered with fondant and painted with food colorings rather than piping with royal icing. I was able to get a cool vintage/weathered effect with a bit of blotting with a dry paper towel. 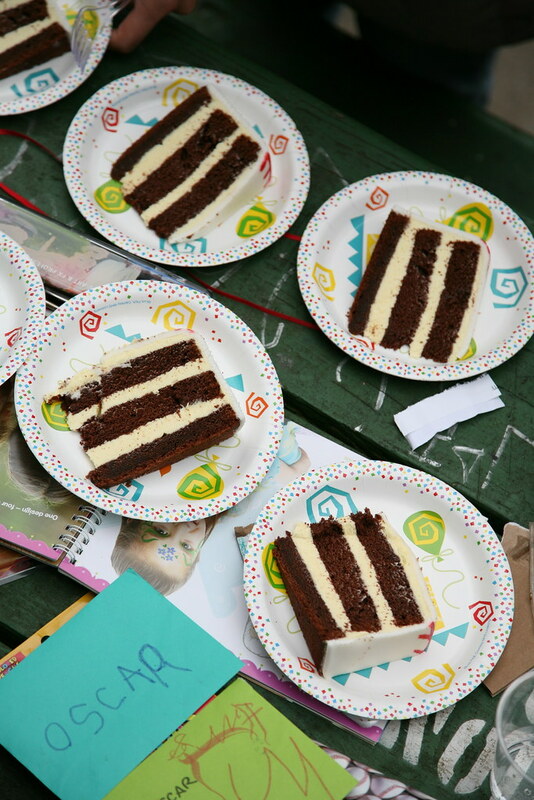 PS - the cake was deeee-lish. I made a french meringue buttercream from a new cookbook from my amazing neighbor/landlord, Miette. 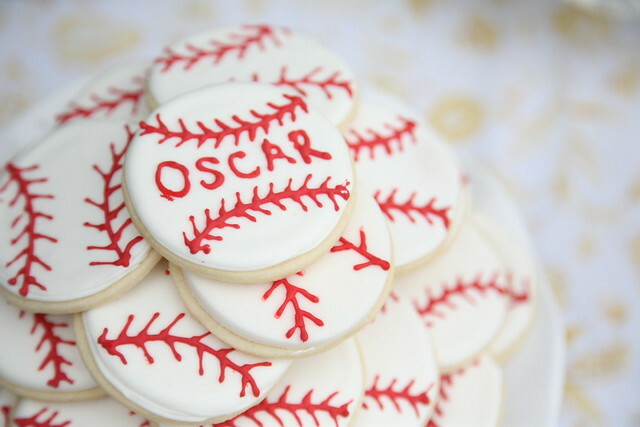 It is my new favorite buttercream recipe! 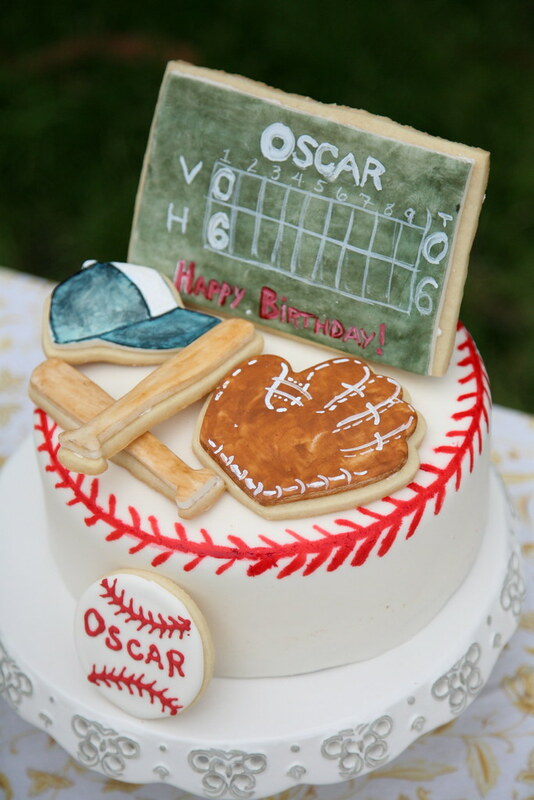 Happy Birthday Oscar! Betcha can't wait til next year! PS - Adorable Slideshow by Vale here.